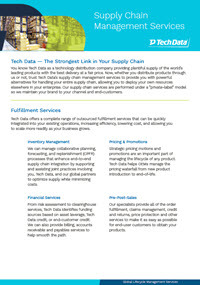 Your supply chain is only as good as its weakest link, so leverage the strength of a world class distribution and logistics organization to find supply chain success. Areas like fulfillment and third-party logistics are often an afterthought, but with a proven partner managing these processes on your behalf, you can turn these into cost savings for both you and your customers. 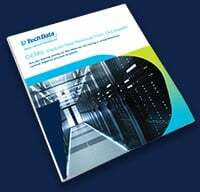 Let Tech Data’s experts show you the way.